After three solid years of non-stop action, I Love Handmade is unfortunately having to take a break. My Dig The Earth workload has increased dramatically (yay! ), but the flip side of that means it has become harder to dedicate time to research and blog every day. 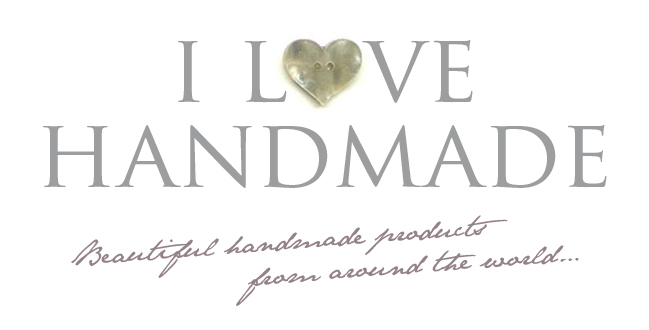 A huge thank you to readers old and new for following, commenting, sponsoring and submitting work for inclusion, it really has kept I Love Handmade going. This is a OOAK necktie, and is sold numbered. It's hand printed onto reused cotton fabric. Black typography print on white fabric. Part hand sewn, part machine sewn. 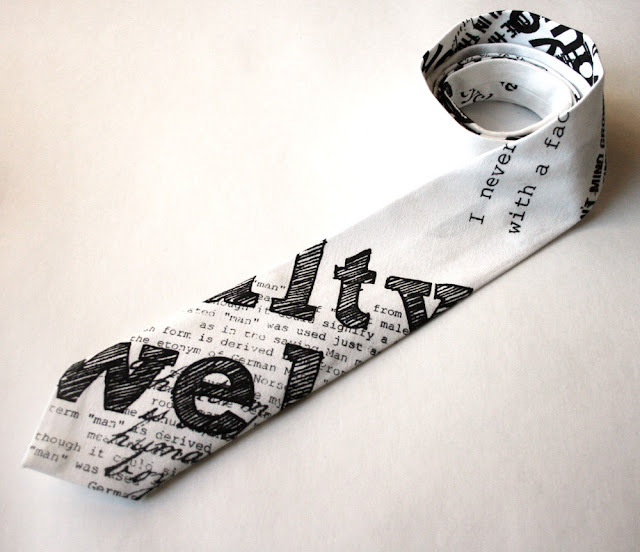 Each necktie is made to order and completely unique. Length: approx. 154 cm. Width: 7 cm. 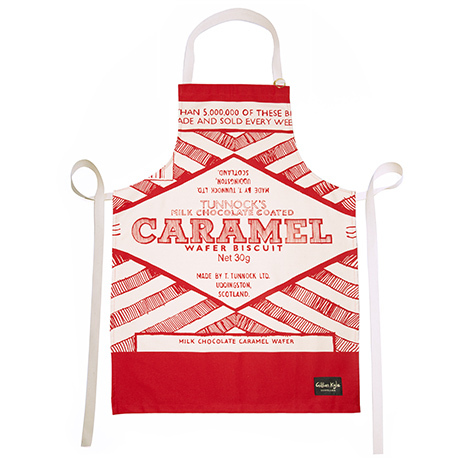 Whether you’re a Nigella, a Jamie or an Ottolenghi fan, you need this Tunnocks Caramel Wafer Apron for your battles in the kitchen. Everyone knows it’s best to side with a Scot. Contrary to popular belief, Tunnocks is not the only confectionery available in Scotland. 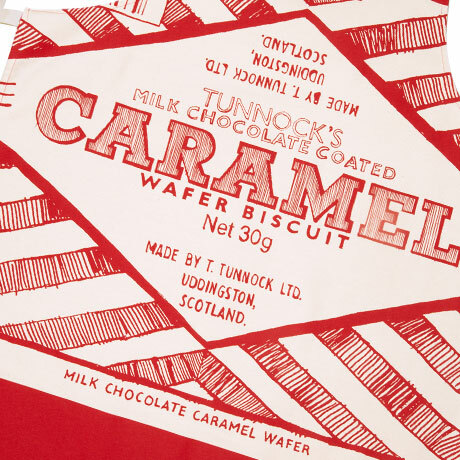 However it might as well be: school children are treated with teacakes and wafers at lunch and every good Scot knows the heavenly pleasure of dipping a Tunnocks Caramel Wafer in a cuppa. Dream. So don that apron, chase down a haggis (if you think they've got legs you've got problems) and do it the Scottish way. Another fantastic product from Gillian Kyle. 100% organic, unbleached premium cotton. This apron is available at a very special price over on Fab UK for the next few days. Fab is a global sale site with lots of brand new offers every day. If you've not heard of Fab and want a chance to bag some fantastic designer bargains, just click here and join today! You'll also get a £5 gift to put towards your first purchase! Enjoy! 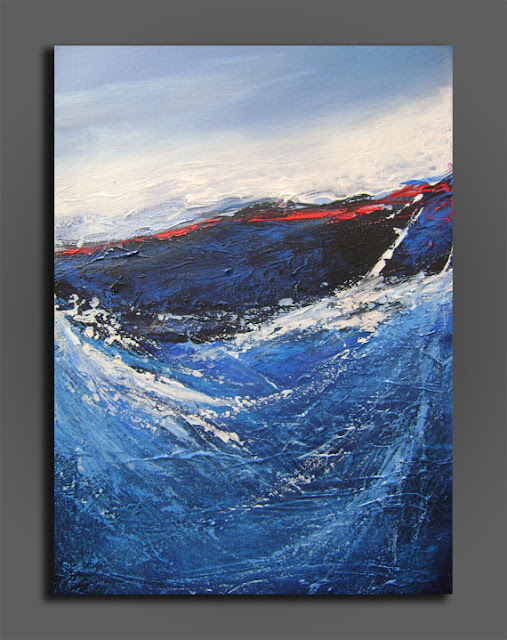 A fabulous piece full of movement and texture. Inspired by the beautiful colors of the Mediterranean. Gallery stretched canvas painted in high quality acrylics. Size: 16" x 24". 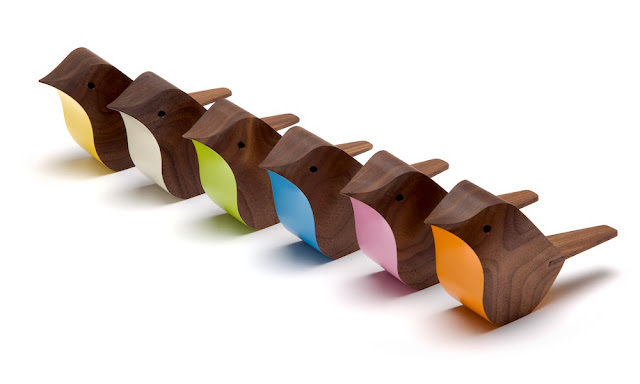 Designed and hand crafted in the UK by Jacob Pugh, this beautiful ornamental bird is available in English Sycamore or Black Walnut and finished in a range of colours. 74mm x 135mm x 40mm. Love it! 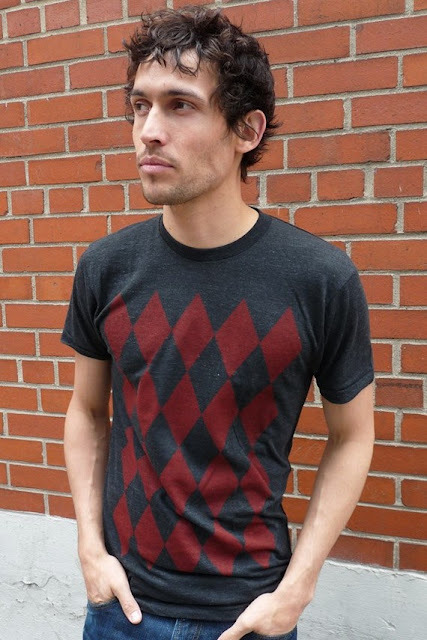 I love the humour in this limited edition argyle print t-shirt from Ole Originals, a pattern usually associated these days with golf wear or socks. 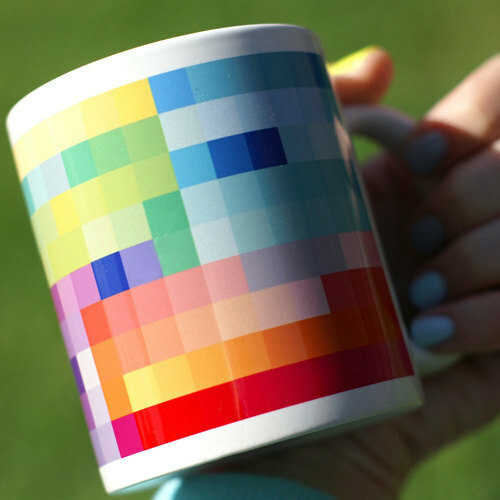 This argyle design would surely make any Scot glow with pride. Feel free to wear with a kilt! This limited edition shirt has a soft vintage feel and is made from the highest quality fabrics available. The little Jack Russell is having a nap in the warm sunshine. I hope he's having a lovely dream! An original 5-colour lino print, hand printed by Trotting Jack Press in England. Oil-based ink on 175g soft white English printmaking paper. Paper size 14.6cm x 19cm. Signed by the artist. 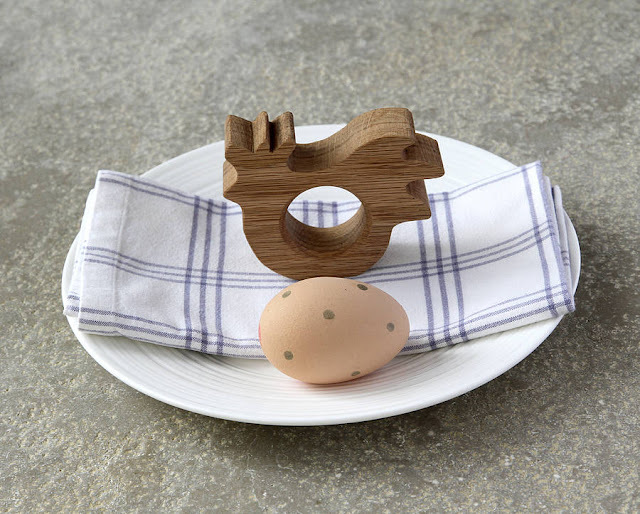 Bring an added smile to breakfast time with this fantastic sustainable Oak Hen Egg Cup. 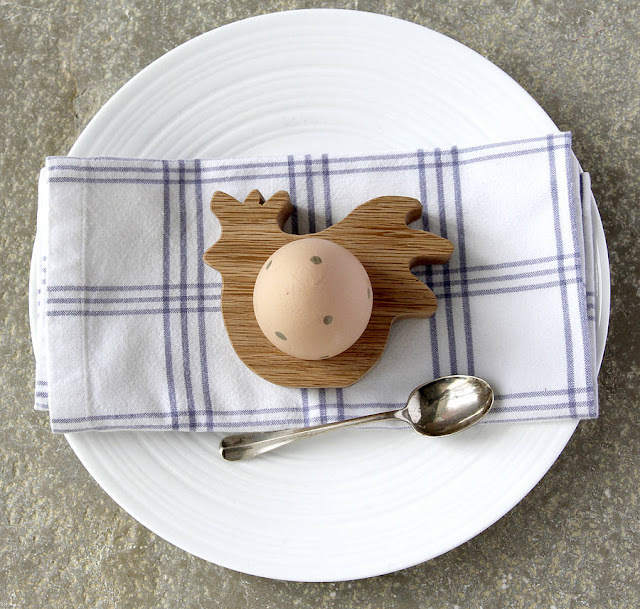 Hen is the classic Egg Cup in Hop & Peck's range and will make your morning eggs a true delight. 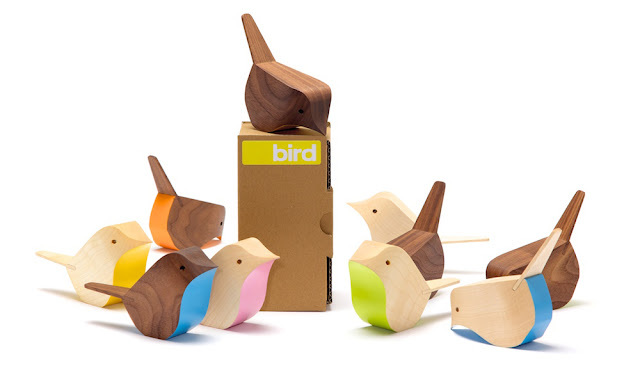 Hen has been designed to stand when not in use and will sit sweetly on any kitchen dresser. 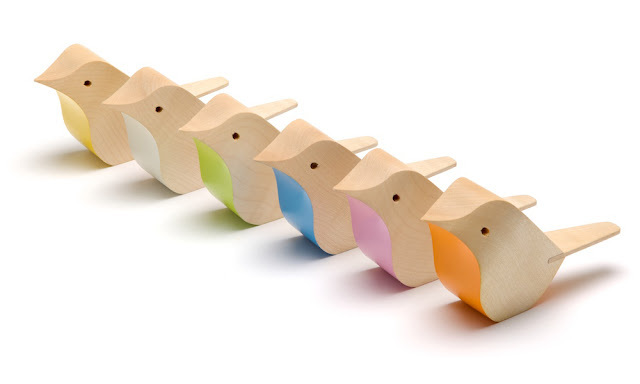 A lovely gift for all Hen lovers which can be enjoyed all year round. Beautifully presented in a cotton drawstring bag for safe keeping. Size approx: W8.5cm x H9cm x D2.4cm. 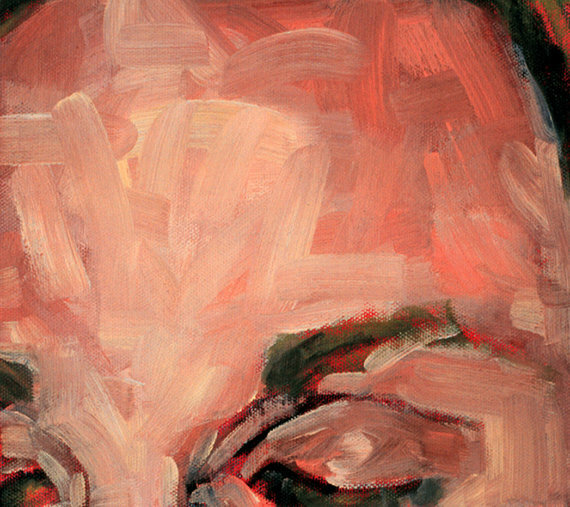 This is a small archival print made from an original series of paintings of individuals with their eyes closed. The intent of the series is to reverse the subject and viewer experience. In this case the subject (art) is purposefully not looking back at the viewer. Many many portraits are needed to create the effect so the project is still growing. However, the paintings make beautiful prints and so are being offered for sale. This image is 4 x 4.5 inches with a 1/2 inch border. It is printed on high quality fine art paper using archival inks. Signed and dated by the artist.